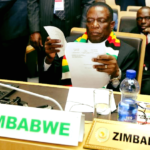 The Zimbabwean President, Emmerson Mnangagwa, during his briefing of the assembled Heads of State and Government of the Southern African Development Community said international sanctions that have been in place for nearly 20 years are hampering socio-economic development in his country. 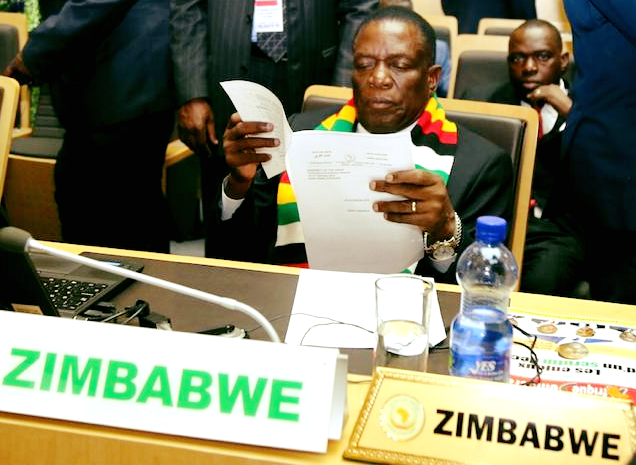 The Consultative Meeting of the Southern African Development Community Heads of State and Government held on the 9 February 2019 received a briefing from the Zimbabwean President Emmerson Mnangagwa on the current socio-economic developments in his country. The SADC Heads of State and Government noted that since coming to power, the new government of Zimbabwe has continued with concerted efforts to address socio-economic challenges and transform the economy, particularly through the Zimbabwe Transitional Stabilisation Programme (2018 – 2020) and to consolidate unity and peace in the country. This notwithstanding, some internal groups, in particular NGO’s supported by external forces, have continued with efforts to destabilize the country. The SADC Heads of State and Government also noted that in an effort to address the economic challenges in the country, the government recently increased fuel prices. Unfortunately, violent demonstrators rode on the back of the increases in fuel prices, to implement their intentions to destabilise the country. The demonstrations resulted in the destruction of property and loss of life. SADC condemns, in the strongest terms, the violence that ensued, and expresses sympathy with the affected families for the loss of their loved ones and their properties. The SADC Heads of State and Government further noted that the government’s efforts to transform the economy and bring about prosperity to the people of Zimbabwe are negatively affected by illegal sanctions that were imposed on the country since 2000. SADC expresses its solidarity with the government and people of Zimbabwe and calls upon the international community to unconditionally lift all sanctions on the country. The SADC Heads of State and Government also noted that the government has commenced dialogue with all stakeholders in the country with the view to strengthening economic transformation and calls upon all stakeholders to support the process.